The competition: Just one of the six nominees from last year can’t return, and that’s Moss, whose show has ended. The easiest thing to do would be to sub back in Julianna Margulies (The Good Wife), who has been nominated four times and won twice in the past six years, for the final season of her show. I’m most worried about Maslany coming back just because I feel that it would be too great for her to actually be honored for so many amazing performances, but I’m predicting that she will be back for the show’s fourth season. I don’t think either of the two new Golden Globe additions, Caitriona Balfe (Outlander) and Eva Green (Penny Dreadful), will pose too much of a threat, but it’s possible. Don’t count out past nominees like Michelle Dockery (Downton Abbey) or Kerry Washington (Scandal), as well as never-nominated Keri Russell (The Americans). 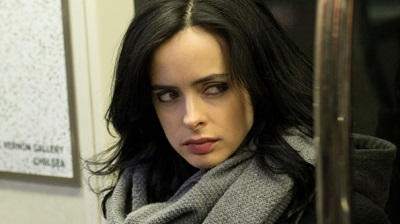 It’s way too much to hope for that Krysten Ritter (Jessica Jones) could actually become an Emmy nominee, but I would be so overjoyed, especially if Maslany gets nominated too.